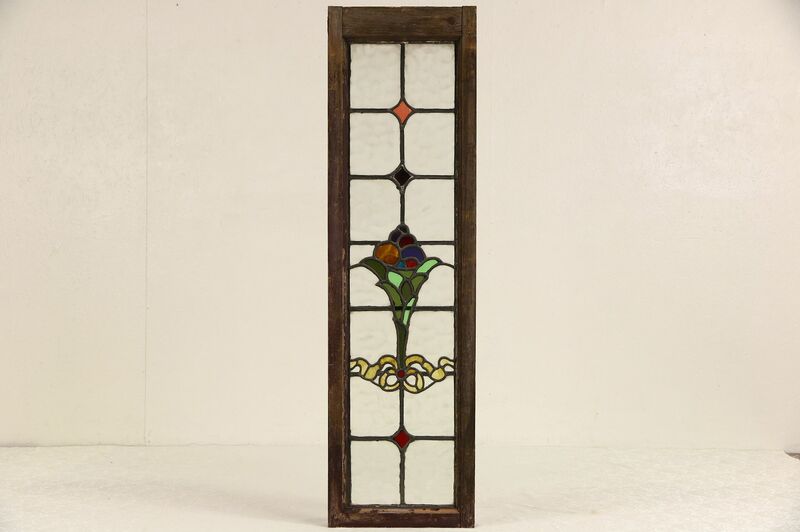 Architectural salvage from an 1890's home in England, this hand leaded stained glass window has textured panes. The original pine frame is weathered. There are a couple of fine hairline cracks in the glass of this antique window. Overall size is 15" wide, 52" tall and 2" deep.